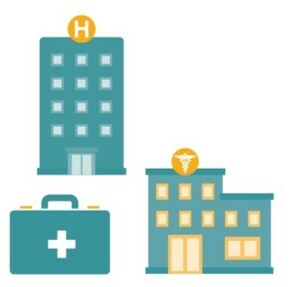 HEALTHeLINK interoperability services support connectivity across providers, payers, hospitals, and other data sources. For any clinical result from any participating HEALTHeLINK data source where a provider is a physician of record, HEALTHeLINK will route that result to an inbox format, accessible to that provider for review, within the HEALTHeLINK Application. Results are from all HEALTHeLINK data sources including laboratory results, radiology reports and images, transcribed reports, and discharge medications. If the provider has an Electronic Health Record (EHR) with an interface to HEALTHeLINK, the results routed to the provider will also be delivered to the provider’s EHR where they can be attached directly to the patient’s electronic chart. 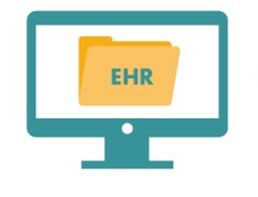 In addition, with this interface enabled, any record accessed through the Patient Summary can be shared to the connected EHR. For a select number of data sources, image-enabled results delivery (IERD) will attach a link within a delivered radiology report that can directly access the associated image through the practice’s EHR. Value to providers: This capability eliminates the need for faxes, manual scanning, and attaching clinical records to the patient’s electronic chart. At the end of a patient encounter in a provider’s office, select information will flow from the provider’s EHR to HEALTHeLINK. This information will add significantly to the patient information available in HEALTHeLINK and makes every provider office a potential data source. 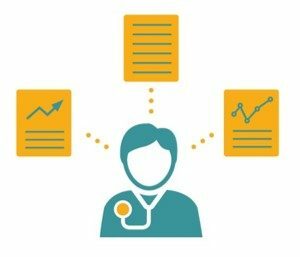 Value to providers: This capability allows patient data captured in a provider’s office to be added to the longitudinal patient record in HEALTHeLINK in order to make available to others treating their patients. In the case of unexpected events that might bring down an EHR (e.g., a ransomware attack), a practice will have access to their own data so they can continue to treat their patients while the EHR is being brought back up. Additionally, CCD data can be used to facilitate quality reporting processes and population health analytics, for example provision of data in support of HEDIS reporting. CCDs from a growing list of practices are accessible today in the HEALTHeLINK application. HEALTHeLINK’s secure messaging allows providers to send clinical information securely from one practice to another or to a community based organization in order to provide necessary information to support the patient care. HEALTHeLINK’s secure messaging solution can be connected to direct messaging solutions embedded in a provider’s EHR for providers with Direct Mail addresses. Both Healthcare Internet Service Providers (HISP) must be members of the Direct Trust Bundle in order to communicate with other secure messaging systems. 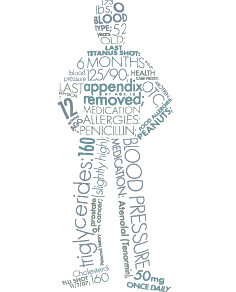 Value to providers: Eliminates the need to fax or scan sensitive patient information and securely make available to those in community that might need the information to better service the patient. Through the use of subscribe and notify functionality, HEALTHeLINK can create alerts for patients who have been admitted or discharged by allowing a provider to subscribe to a patient. If the patient has consented to access of records through HEALTHeLINK, a care alert can be sent directly to a connected EHR or to a Direct Mail address in real time or delivered as a batch once a day. Value to providers: Providers can be made aware of a patient’s admission/discharge event to help coordinate transitions of care from the hospital to the primary care setting. Enables queries directly to HEALTHeLINK from a provider’s EHR. Once the query is launched, it will move directly to the patient’s HEALTHeLINK record. Value to providers: Streamlined access, with only one click, to the patient’s record within HEALTHeLINK for providers and their staff. HEALTHeLINK’s web-based services support patient queries made by providers. The portal provides a single sign-on (SSO) with two-factor user authentication and access to HEALTHeLINK. 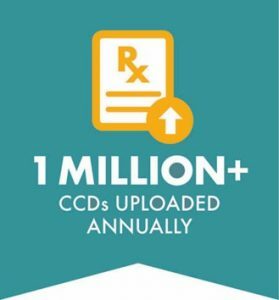 For providers with credentials, the HEALTHeCOMMUNITY Portal can also provide access to the New York State Department of Health (NYS DOH) Health Commerce System (HCS) where providers can access the Internet System for Tracking Over-Prescribing (I-STOP) application to see a patient’s history of prescriptions for controlled substances. Value to providers: The single sign-on provides ease of access, eliminating the need to enter credentials multiple times, while providing security and assurance that a user accessing clinical information is authorized to do so. To the community providers, the portal provides a single location for secure access to a variety of health care applications hosted by multiple entities. The Patient Summary record, available through HEALTHeLINK’s Health Information Exchange (HIE) platform, provides access to a patient’s clinical records, with their consent, from all HEALTHeLINK data sources. In addition, any CCD uploaded at the close of an encounter may be viewed. If the practice has a Results Delivery interface to an EHR enabled, a provider is able to share any result from the user interface (except radiology images) to the provider’s EHR. Value to providers: The patient summary allows a provider treating a patient access to clinical records that may not be in the patient’s chart because the provider was not copied on the clinical results or the provider was not a physician of record for a particular result. This is especially useful in acute settings for specialists, preparing to treat a patient, who need the full clinical history, and for providers who are seeing a patient for the first time and need their clinical history. This eliminates the need to call various data sources to search for clinical data and is available at any time day or night. This allows providers from all Qualified Entities (QEs) in NYS to query and retrieve patient information from all other QEs in NYS through the SHIN-NY. Value to providers: With patient consent, providers can access patient’s medical information from across NYS. From the Patient Record Look-up, a user can access an image directly from the associated Radiology report with one click. 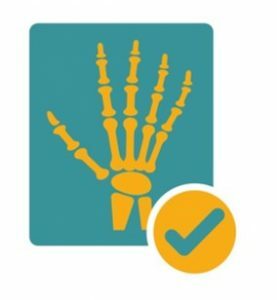 Through Image Enabled Results Delivery (IERD) a PIN secured link can be included in a Radiology report sent directly to a practice EHR. This link allows for direct, immediate access, from the EHR, to the image associated with that report. Real time collaboration on Radiology images. This allows two providers to simultaneously view and interact with a single image. Transfer to PACS – This will allow radiology centers who provide images to HEALTHeLINK to import non-owned images into their local PACS. Value to providers/patients: Provides simple, secure access to images from any PACS connected to HEALTHeLINK. No more lost images, films, or CDs. Patients receive the most effective and efficient care because of immediate access to radiology images, as well as radiology reports. It also improves patient safety by helping eliminate radiation exposure associated with duplicate exams. 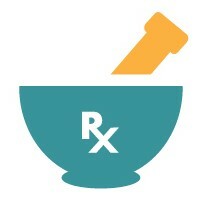 Providers can query and review patients’ medication fill history including drug, dose, form, strength, and pharmacy. Value to providers: Aids the provider during medication reconciliation and helps to prevent adverse drug interaction and overdose. Providers can access a summarization report for VA patients. For VA consented patients, information such as allergies, immunizations, problems, medications, and diagnostic test results can be viewed and printed. Value to providers: Ability to gain timely access to medical information electronically from the VA and vice versa to enable better care for veterans. HEALTHeLINK also provides the following services to its users. 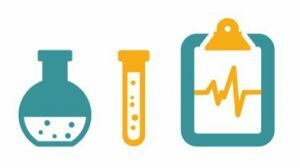 HEALTHeLINK provides support for a growing list of research efforts focused on population health reporting and treatment efficacy studies. HEALTHeLINK is the source of a community-wide Master Patient Index (MPI) that is invaluable in compiling research data from multiple data sources. HEALTHeLINK provides the following core operational processes to the community in support of the web-based, interoperability, and other customer-facing services described above. Provide practice account management and project administration – Guide the practices through the process of becoming HEALTHeLINK participants including training in the use of the HEALTHeLINK application. Coordinate and manage the implementation of projects and services, and manage the activities of all the HEALTHeLINK practice-facing services to deliver seamless customer service over time. Manage patient consent – Establish and execute processes to reliably and accurately capture patient consent in compliance with state and local policies. Manage master patient index – Identify multiple record numbers for specific patients by comparing data source specific patient information with the community level patient index. Instances of multiple record numbers are communicated to the relevant data source as a means for them to improve the accuracy of their patient records. Administer users – Ensure that users are correctly established, and their accounts managed over time. 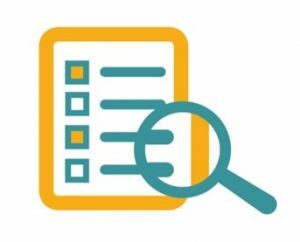 Ensure that all provider-related data is correctly established as the routing of clinical results depends on the accuracy of this information. Manage a provider database as a community level master record of provider information. Conduct audits and manage privacy events – Perform various audits of access to patient information such as break-the-glass and same name access. Also, perform audits of access to specific patients or access by a specific user.